Giving back to our community is something that’s important to DJ and I. This year, we’re trying to save money, so we decided to donate platelets to the local blood bank instead. This is the story of that epic failure. 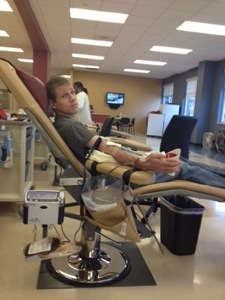 We decided last weekend we wanted to donate platelets. A friend of ours from college passed away from leukemia and he required a lot of platelets in his treatment. We talked about it and made our appointments for yesterday afternoon. We were both excited as we had never donated before. DJ’s always been afraid of passing out (he has a track record) and I’ve always been deathly afraid of needles (working in a medical lab gets you over that). We rolled into the donation center excited about what we were about to do. We registered, went through our physicals, and headed over to the donation stations. The phlebotomist looked at my vein and said she didn’t think my vein could handle a platelet donation and I should stick to a regular blood donation. Slightly discouraged, because my blood type isn’t in as much demand as are platelets, I made my way to the whole blood station. The phlebotomist there was confident my vein was fine for platelets and she could stick me. She took me back over and got me settled in to donate. Meanwhile, DJ was turned down for platelet donation as well. His vein wasn’t cooperating and they couldn’t get the needle in. Whole blood was his only remaining option. He originally didn’t want to donate whole blood and was nervous to because he has a history of passing out (at the ear doctor, in his cousin’s wedding…). He wasn’t looking forward to repeating the experience. In platelet donation, you don’t lose much blood volume like in whole blood, so the risk of passing out is much lower. 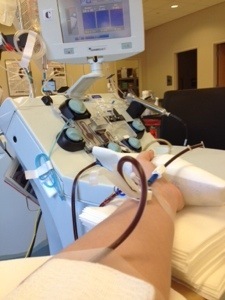 Platelet donation takes about an hour and a half to two hours. I got twenty minutes in and now my vein just wasn’t cooperating. Fluid starting building up under the skin above the vein and the phlebotomist called it quits. They got enough of my platelets to maybe stop a paper cut. 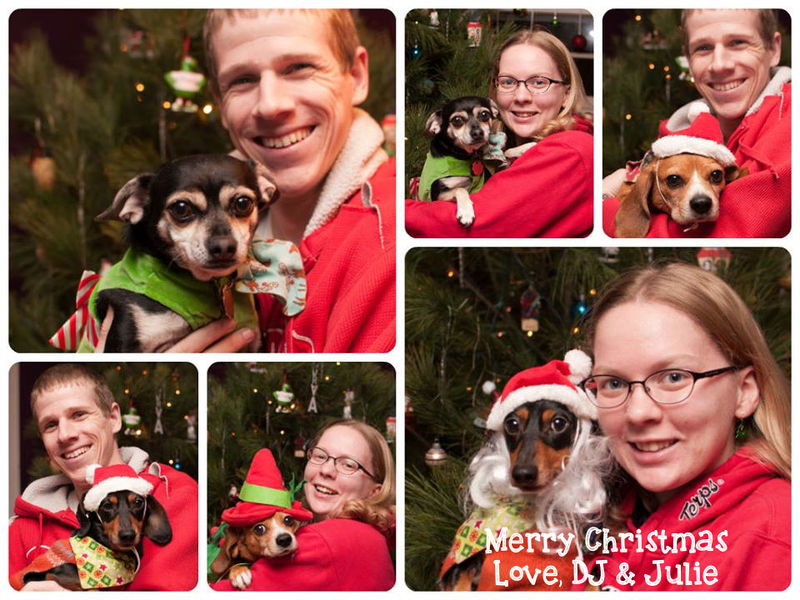 The donation process had started to make me nauseous, so stopping was okay with me. I made my way to the juice and cookie station, with the room getting progressively darker as I got there. I asked if there was somewhere I could lay down and the next thing I knew, I was surrounded by staff who rolled me on a desk chair over to an empty donation chair. In no time flat they had me lying flat with a barf bag and were fanning me to keep me from being sick. Not the experience I was hoping for. They put me next to DJ, where he we proceeded to make fun of me each other the whole time. Mostly we were trying to make the staff decide who was more sympathetic. DJ’s veins were still not cooperating for his blood donation and he required staff supervision the whole time. DJ finally finished and I recovered sufficiently enough to walk back across the room. We sheepishly ate our snacks (which we are convinced the staff thinks were the only reason we came in) and made our way home. It definitely wasn’t the experience we were hoping but the snacks were so worth it. The past month has been so busy for us, so we’re going to use this post to play catch-up and recap the past few weeks. The weekend before Thanksgiving, we went to visit my parents in Maryland. They live three hours away, so visiting often isn’t difficult. We were busy catching up with friends and family and didn’t take any pictures the whole weekend (which is uncommon for us). We have a great network of friends and family in my hometown and it’s nice to be able to spend time together over meals. For Thanksgiving, we went to DJ’s parent’s house in New Jersey. A Nor’easter had just blown through and the weather was cold, damp, and windy – perfect for a turkey day race! 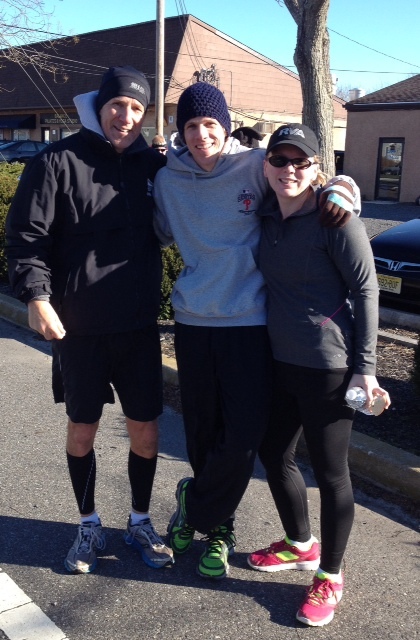 DJ, DJ’s dad, Jon, and I did a 5k Turkey Trot on Thursday morning, in 30 degrees, with 20 mph winds. And turkeys that chased DJ – it was truly a turkey trot.